We are very excited about our DEN PreCon Event at PETE&C. We have an amazing agenda this year, and we are certain you will be pleased with the session choices. For your convenience, a schedule of the days activities is listed, followed by session descriptions, and recess show and tell displays. Your Discovery team has worked hard to make your day rewarding as we take you beyond the textbook. Lodge has developed a teaching and professional development process called FIZZ which encourages and models best practices in implementing user-generated video in the classroom to enhance standards-based lessons. In this session, Lodge – also a studio composer and musician – will guide us through a fun, interactive and collaborative exercise using standards-based songs about advanced curriculum for K-12 classrooms. When it comes to integrating digital media into your classroom, the possibilities are endless. In this session you will learn powerful ways to integrate all of the resources available in Discovery Education into your instruction. Join our DEN Science Guru as she explores a rich variety of digital resources for your Science classroom – everything from free Web 2.0 tools to our amazing Discovery Education Science service. This session will highlight the many ways to use Discovery Education streaming content in the Math classroom. Don’t be late for class! We will explore the potential of Visual Literacy to engage learners and enhance learning. Key data as it relates to Visual Literacy in the acquiring and retention of knowledge forms the foundation of the workshop. Add to your backpack a host of strategies for locating digital media and ideas to start using more visuals in your classrooms tomorrow. Put your pencils, markers and paper aside and go digital! Using The DE Builders, Glogster and Web2.0 applications, you’ll ignite your creative mind as you construct your own interactive poster. This session will model ways to integrate the Writing Prompt, Assignment and Quiz Builders within DE streaming while differentiating instruction and motivating student learning. You’ll leave with a new outlook on how Discovery can “come alive” through posters. Through a challenge-based learning lens we’ll explore resources that facilitate students’ collaborative efforts from process through end product. Resources to be covered include Diigo, Google Docs, Wikis, Blogs, VoiceThread and more! Learn how to differentiate your instruction with the Discovery Education Student Center. We’ll start by creating quizzes, assignments and writing prompts using the Builders in DE streaming. Then we’ll create a classroom and show you how to assign content from DE streaming to your students. Advances in the social aspect of technology have changed the landscape in which our students find themselves. In this increasingly wired world, cyberbullying has become a growing issue for children, teachers, parents, and schools. Learn what cyberbullying is, its impact on teaching/learning, and take steps to begin to address it. Do you want to get started with STEM, but you have no idea where to begin? Well, help has arrived! Come explore ten great websites to help get you started on your way to making STEM part of your everyday classroom. 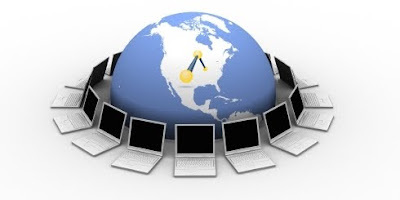 Join Teach42 as he shares his favorite Web 2.0 tools for education in 2010. This session will how to integrate Discovery Streaming and other Web 2.0 tools into the teaching of social studies. Fill your toolkit with a variety of Web 2.0 tools to support learners that need a little extra support both in and out of the classroom. Explore how a fifth grade class uses technology in a project-based classroom. View example projects in Language Arts, Math, Science and Social Studies that put web 2.0 tools to work. From tackling such topics as H1N1 to creating a Google Earth tour of the fifty states to blogging about literature, Mrs. Abernethy’s Techno Tigers will show you what 21st century learning is about. Gigapan: How many words is a picture really worth?